Stone unlocks the amazing secrets to the success of the Jewish people. Their time-honored principles help create wealth, maintain health, raise successful children, and pass on generational blessings. The Secret to Living in Health, Creating Wealth, Building Your Faith, and More! 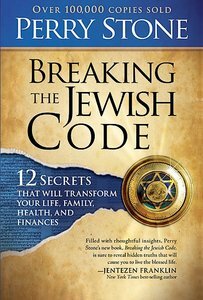 About "Breaking the Jewish Code"